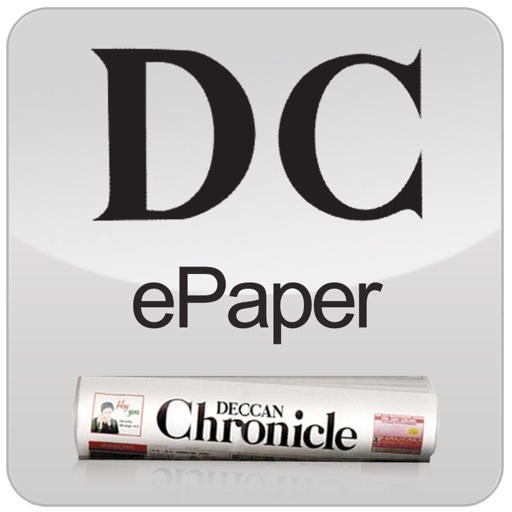 Deccan Chronicle - the largest circulated English daily in south India - is the third largest English newspaper in India in terms of readership and circulation. 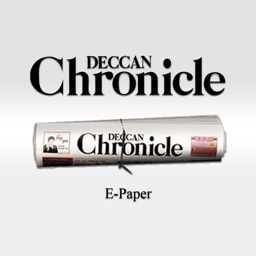 It has nine editions being published from Hyderabad, Vijayawada, Rajahmundry, Visakhapatnam, Anantapur, Karimnagar and Nellore in Andhra Pradesh, Chennai in Tamil Nadu, Bengaluru in Karnataka and Kochi in Kerala. With nearly 70 years in the business, this newspaper has always been recognized for its unbiased, independent reporting of news - gathered from a vast network of journalists stationed around the world. 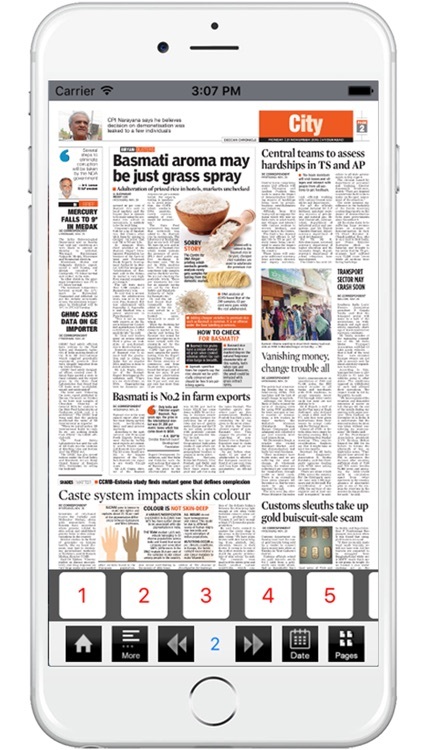 Deccan Chronicle’s e Paper iPhone App brings the DC news paper and its content one step closer to the users enabling them to read their favorite News paper from anywhere for free. 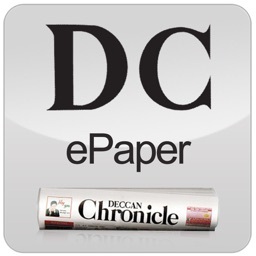 DC e paper is the exact digital replica of the print edition. 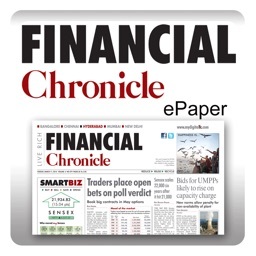 •This App provides you e papers from 4 editions, i.e., Hyderabad, Chennai, Bengaluru and Kerala. 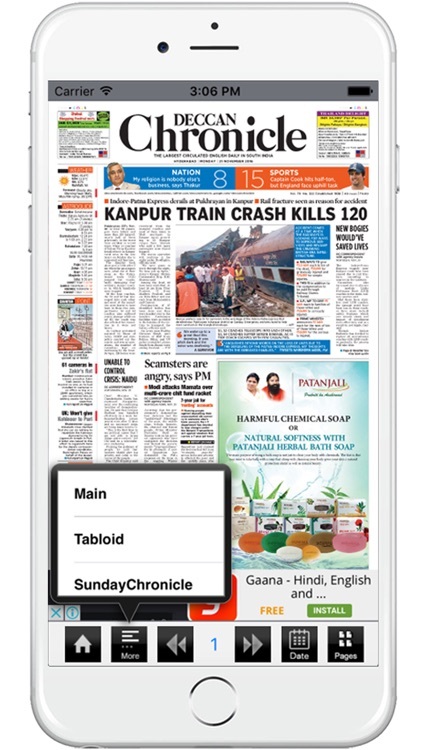 •The main edition carries articles from Politics, India, World, Business, Science and Technology, Sports and Games. •The main edition also carries editorial, Op-ed and interesting and thought provoking columns from some well known columnists from different fields..
•The Tabloid carries articles from Lifestyle, Entertainment, Health and Living, Food, Fashion and Astroguide. •In addition to the above, we provide you with many more interesting features like crossword puzzle, Sudoku, cartoons, latest happenings in the city and classifieds. 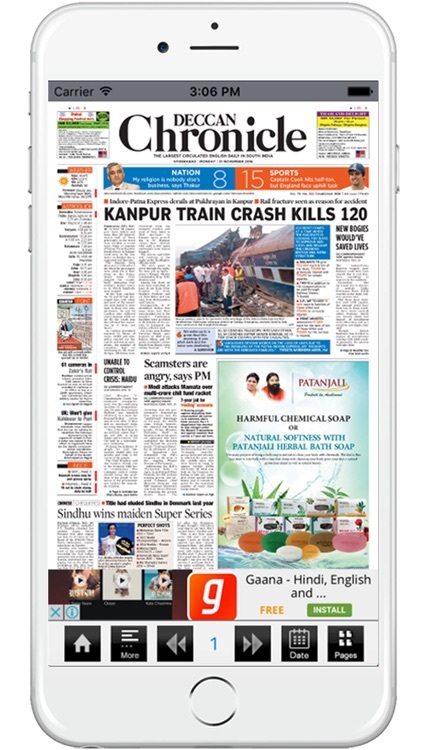 •In this App, we provide News paper for the previous 3 days for free. 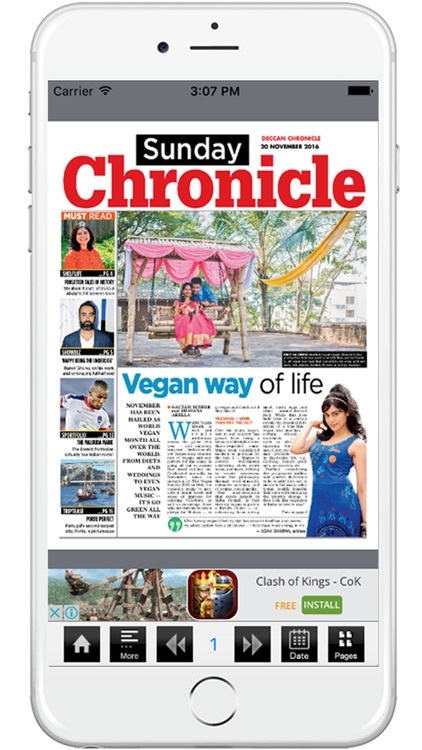 •This App also provides you Café Chronicle, a monthly supplement published for Café Coffee day outlets.